Manufacturer & Supplier of Multi AC Drive. 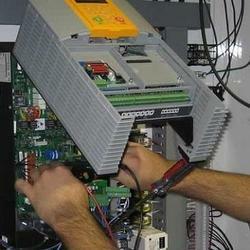 Our product range also comprises of CNC Controller, CNC Machine Control Panel and Servo System. In order to fulfill the ever changing demands of our clients, we have been engaged in offering a quality range of AC DC Drive Repair Services. Offered services are rendered by our renowned professionals using best grade machines and modern technology. We offer these services as per the specific demands of our valuable clients within the scheduled time-frame.